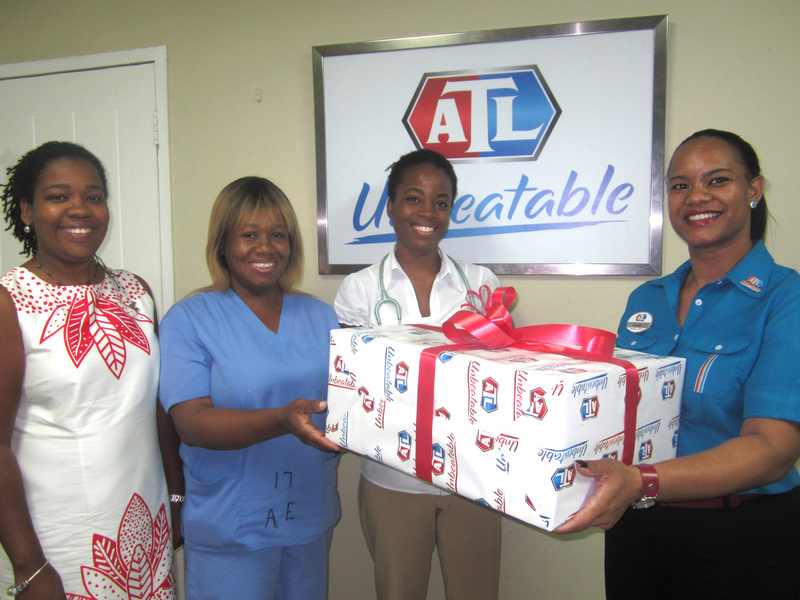 The St Ann’s Bay Hospital welcomed a new Electrocardiogram (ECG) printer for its Department of Internal Medicine courtesy of Appliance Traders Limited (ATL). Senior Medical Officer at the hospital, Dr. Nicole Dawkins commended the timeliness of the donation citing that the hospital was in dire need of a device to produce its ECG results, “The ECG machine is a critical piece of diagnostic equipment that is used to identify abnormal rhythms of the heart. It is vital in our efforts to assess patients and provide acute medical care. We were experiencing real challenges to print patient reports and we are truly thankful that ATL offered their help”. The St Ann’s Bay Hospital has undergone several impressive upgrades this year in its bid to move from a Type B to a Type A facility. “We just concluded a very successful health fair for the Steer Town community as well as completed several hours of hands-on training of nurses and doctors in laparoscopic surgery. This procedure will help our patients recover faster as it includes making smaller surgical incisions” said Dawkins.